Gulambaba Compound, Opp Railway Station Surat. 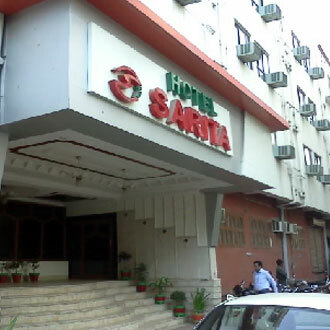 Located at a walking distance from the bus stop and railway station, hotel Sarita houses a total of 55 well furnished and spacious rooms to choose from. A party and conference hall is also available in the hotel. A travel desk for arranging sightseeing tours, car rental and medical services are also offered by the hotel.